Before GPS, Google Maps, and built-in navigation systems, there were exterior wayfinding signs. Even with the latest technology, it is difficult to pinpoint the precise place you need to go without the appropriate markers. Directional and wayfinding signage help us get where we need to go. They are mistake preventers and time savers. Fortunately, Citrus Sign Studio is one of the top suppliers of these signs in the Greater Orlando area. Whether you manage a business park, medical facility, industrial park, multi-family complex, or a standalone facility, it is important to have efficient and effective exterior traffic control signs, wayfinding markers, and directional signage. You can have a major influence on how your property is perceived by making sure traffic flows smoothly and that it is easy to enter and leave. Nobody wants to waste time trying to figure out where to park. Finding the right balance of functionality, affordability, and aesthetic value is the real challenge. The first figurative and literal step in producing an effective wayfinding system is to walk the property. A quality sign shop will do this with you because they know a cookie-cutter solution will not serve your campus well. 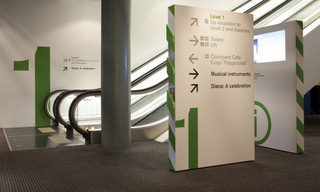 Your directional and wayfinding signs should be located where visitors will look for them. Readability is a must for your markers. 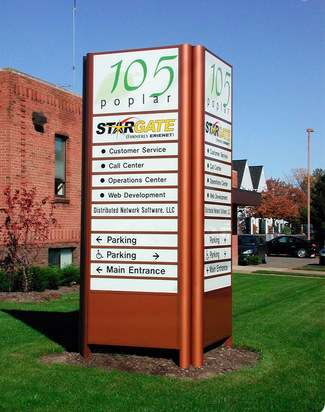 We make your signs large enough that letter size is not an issue, and we use legible typefaces. We suggest copy that is simple and concise. In addition, we recommend a good contrast between the color of your text and the background color. Do not forget exterior directory signage for Winter Garden, FL. Do you have different parking areas for different companies, departments, or commercial business? Guests on you property need to know this information. You can also list the many different organizations on your campus and show the best place to enter. We are able to incorporate detailed, to-scale maps into your directories to make them easy to understand. And, if the information on your directories changes as tenants move in and out, we can update your markers as needed. Winter Garden Is One of Our Favorite Places! Winter Garden is relatively small with a population of just 34,568. As the city motto says, Winter Garden is “a charming little city with a juicy past.” We love visiting our Orange County neighbors to the west from our shop in Orlando. There is outstanding shopping in historic downtown Winter Garden, and several museums for the whole family to enjoy. And, thanks to the many large employers bringing work to the area, including Central Florida Kidney Center, MasterBrand Cabinets, Quality Health of Orange County, Westside Tech, UPS, and more, the economy is bustling. We proudly serve Winter Garden from the Cranium Academy and Clubhouse and Advanced Drainage Systems, Inc. to Winter Garden Village and Lake Apopka and every place in between. 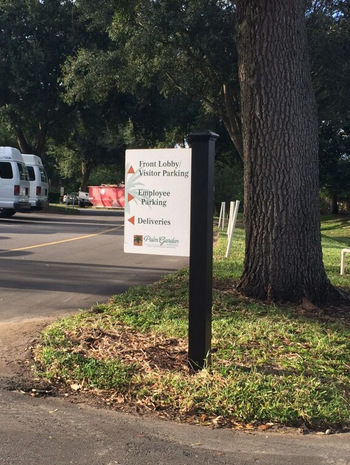 As you shop around for exterior wayfinding signs for Winter Garden, FL, please consider Citrus Sign Studio. Contact our friendly experts today for a free estimate.